For more years than I care to remember I’ve celebrated the summer solstice in true and outrageously pagan style at one of the great stone circles of Avebury and Stonehenge. This year, however, I swapped the ritual of standing slightly bleary-eyed and hungover, waiting for the Wiltshire dawn to peep over the horizon, for the celebration of a friend’s wedding. The wedding festivities took place near Inverness in Scotland. The main venue was an enormous old country house, where we had the run of the place for three whole days. It was a great place and a great wedding – the toasts were drunk in decent scotch whisky, which gives you an idea of the kind of night it was. Despite my hopes of running into red squirrels or scottish wildcats, it was not to be. I did take a stroll around the estate on the morning after the wedding to get a breath of fresh air while most of my fellow guests were still slumbering away. In the woods of the estate I came across a pristine set of badger tracks on a muddy path, and I was able to follow these back and locate the sett – a grand affair with at least half a dozen active entrances. It just goes to show that you can dress me up in a suit and try to make me civilised but once a tracker, always a tracker! But for me, a trip to Inverness had to involve a visit to Loch Ness. I borrowed a car (thanks Sam!) and spent a day there. When I was much younger I was fascinated by the idea of the Loch Ness Monster. As I grew older and developed faculties of critical thought I realised that there wasn’t actually a plesiosaur in a lake in Scotland – come on guys, what on earth were you thinking! – but the story is still a great one. The best time to be at Loch Ness must have been in the late 60s and early 70s, when it was home to an assortment of different expeditions. There was a tremendous enthusiasm about the place, a feeling that there was a genuine discovery to be made, and that if established science was not interested then it was up to the amateurs to show them the way. It must have been great – the shores of the loch manned by student volunteers with cameras, binoculars and surplus World War II searchlights, while on the water a strange assortment of boats fussed around, playing tapes of mating whales on underwater speakers or ferrying American technicians as they tested their latest sonar gear. In those heady days anything must have seemed possible. I’ve never been to Loch Ness before, but I have read almost every word ever written about it. I took my poor, long-suffering wife on a trip around the loch, stopping at obscure places of interest. I found the layby where in 1960 Torquil MacLeod watched the monster as it basked on the Horseshoe scree on the opposite shore. I found the approximate location from which Tim Dinsdale filmed the monster in April of the same year, and I was able to follow the route of his thrilling dash to the loch shore in a desperate attempt to get closer to the beastie. I travelled the road where the Spicers had their classic 1933 land sighting, although it has changed out of all recognition now. I enjoyed my pilgrimage to the loch immensely, but isn’t it all a bit sad? I mean, people don’t really believe in it any more, do they? Ironically, even though the enthusiastic volunteers of days gone by used to battle against mainstream science, they turned to mainstream science and in so doing they proved that the monster doesn’t exist. Adrian Shine, monster-hunter turned respectable scientist, has spent years building up a picture of the ecology of the loch, starting from nutrient levels and plankton and working up the entire food chain. The results of this work show that the loch cannot support a single large monster, let alone a breeding population of them. Although I’d secretly like the monster to be real, I think I am reassured by this. It shows what amateurs can do. 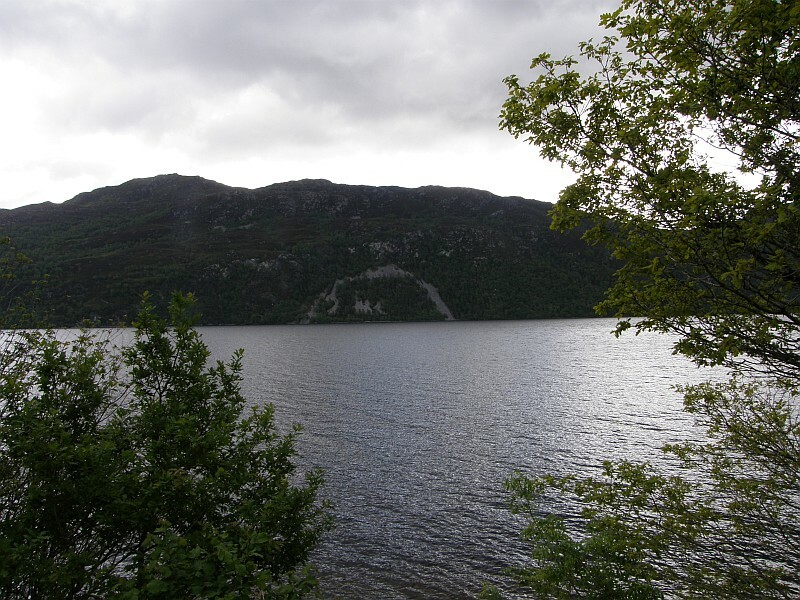 They didn’t find a plesiosaur, but the slow, patient study – starting from first ecological principles, establishing facts and building on them – has finally answered the question of the beastie in the loch. In the process it has shown what enthusiasm, resourcefulness and some basic scientific principles can achieve. It is a story that I, as a very amateur naturalist, still find inspirational. There may not be a monster, but the story of the search for it deserves to be remembered.